Perfect! Open it up. Quickly! 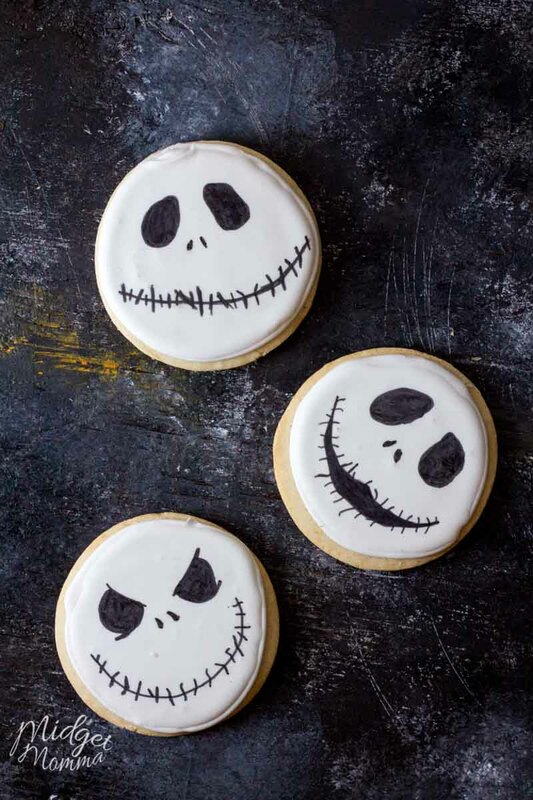 Its the nightmare before Christmas sugar cookies! 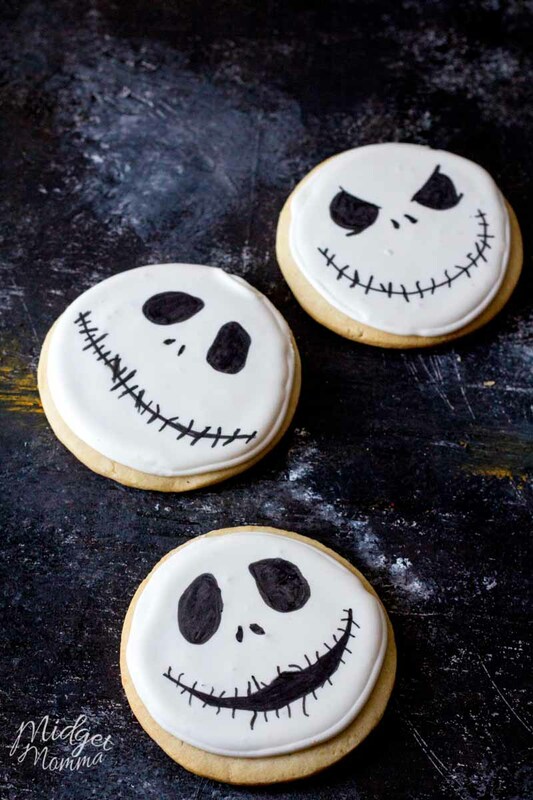 How jolly are these Jack Skellington Homemade Halloween Sugar Cookies. To make Jacks face I used these edible markers but you are more than welcome to pipe some black icing on top of the edible marker face to make Jacks face pop. You will also need royal icing, this royal icing is easy to make. 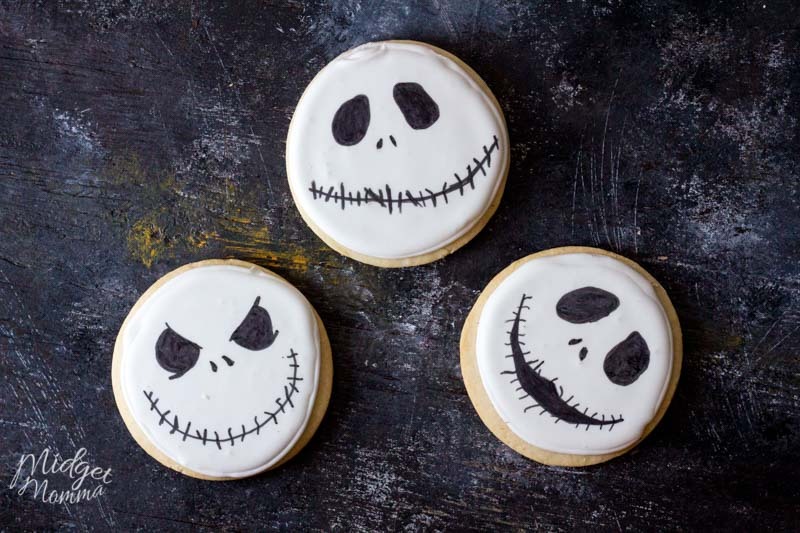 So make sure you make your cookie dough and your royal icing before getting started with these Jack Skellington Homemade Halloween Sugar Cookies. For this recipe you are going to use the same cookie dough as our amazing homemade sugar cookies. This dough is amazing because it is a no spread cookie dough that holds its shape. Go ahead and make these cookies and you will find yourself saying,” Isn’t that wonderful? It couldn’t be more wonderful!” Check out here on how to learn everything you need to know on making sugar cookies. I found this no spread sugar cookie dough is the best one and make perfect sugar cookies! Halloween Sugar cookie made with homemade sugar cookies, and royal icing decorated to look just like Jack Skellington! Put half of the freshly made dough between two sheets of parchment paper and roll it out to 1/4 inch thick. Repeat with the rest of the dough. Put the rolled dough including the parchment paper, on a cookie sheet and refrigerate for 10 minutes or longer. Your dough will be chilled and ready to cut and bake. Repeat with scraps after cutting cookies. Bake at 325° F for 10 -15 minutes. Let cool. Thin out the icing to be about a 20 second icing. 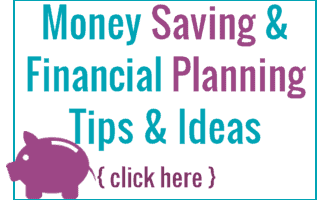 Pipe the outline of the circle with a number #4 round tip. Let it dry for 10 minutes. Flood the circle in with about 6 second icing. Let the icing dry for 24 hours. Print of a bunch of examples of jacks face so you can see it in front of you when you draw. 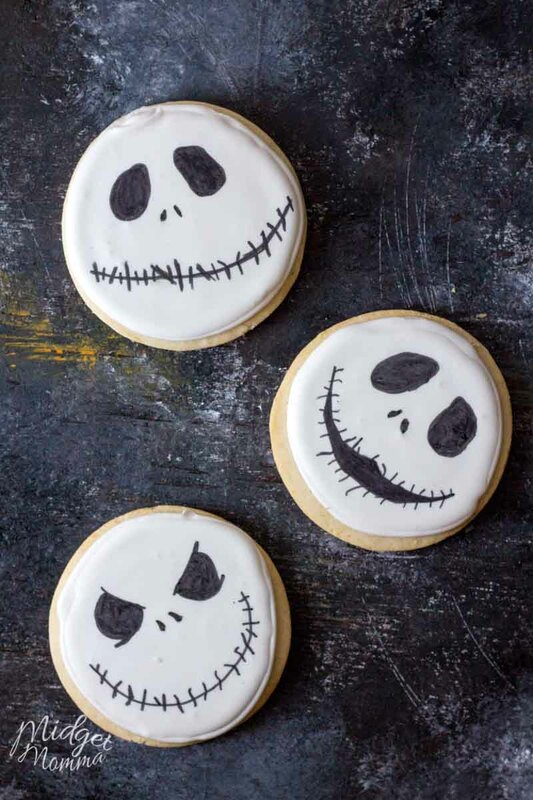 With your black edible markers carefully draw jacks face onto your cookies.